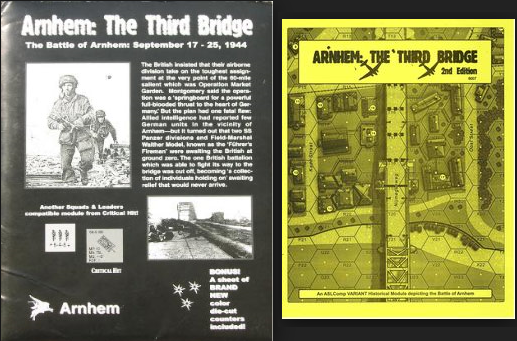 "Arnhem: The Third Bridge is an Advanced Squad Leader module that depicts the battle for the bridge made famous in print and film by Cornelius Ryan's 'A Bridge Too Far'. The British insisted that their airborne division take on the toughest assignment at the very point of the 60-mile salient which was Operation Market Garden. Montgomery said the operation was a 'springboard for a powerful full-blooded thrust to the heart of Germany.' But the plan had one fatal flaw: Allied intelligence had reported few German units in the vicinity of Arnhem--but it turned out that two SS Panzer divisions and Field-Marshal Walther Model, known as the 'Fuhrer's Firemen' were awaiting the British at ground zero. The one British battalion which was able to fight its way to the bridge was cut off, becoming 'a collection of individuals holding on' awaiting relief that would never arrive. 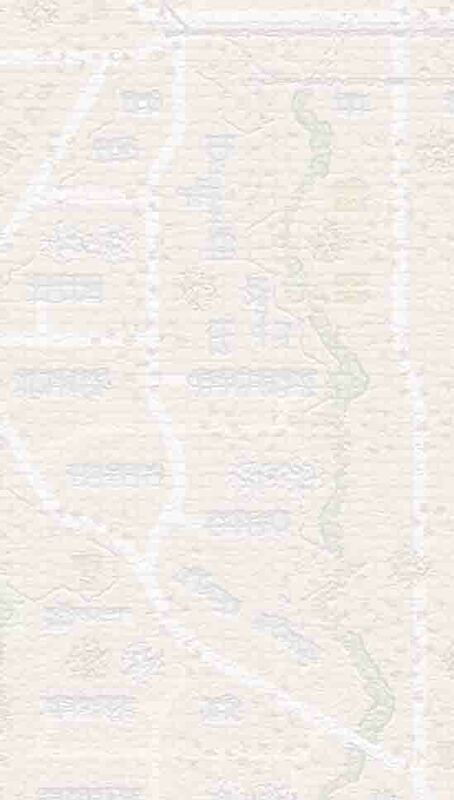 Arnhem: The Third Bridge includes a well-researched historical game map of the battlefield, eight new scenarios and a Platoon Leader 2.x campaign game. You will also receive extensive new rules providing the flavor of the battlefield and its combatants, including high walls, a new form of breach, and SS engineers. As a special bonus, ATB includes a sheet of color, die-cut game pieces providing Red Devil squads and SMC counters for historical leaders including Colonel Frost and armor leader Captain Grabner. Everything is included to play using your existing rulebook and game pieces. 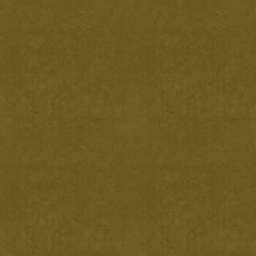 (Ownership of Beyond Valor and West of Alemein are necessary to play this game)." Note the countersheet was a limited time offer with the first edition and was not included in the later 2nd edition of this game.